All the features are completely free!!!! All these are absolutelyfree!!!!! Korea Janggi is optimized for all smart devices, sopeople of all ages can enjoy our game. It is very easy and simpleto have fun!! Traditional Korean strategy board game based on smartgame design and verified AI applied, so anyone can have fun andexcitement. It is optimized for all Android devices with very smartUI, fast, reliable, and online battle. We think these features willmake people of all ages have more fun. [Special Features] -Provides optimal user interface for all smart devices. - There'sseveral difficulty options - Anyone can enjoy and very convenientUI settings - Four kinds of chessboard and pieces. Providing HighQuality. - No additional charge what so ever, it is absolutely freegame. © FREEON Corp.
All the features are completely free!!!! Sign in with your GoogleAccount to play and enjoy the live action or single play. All theseare absolutely free!!!!! Everybody's Korea Janggi Online isoptimized for all smart devices, so people of all ages can enjoyour game. It is very easy and simple to have fun!! TraditionalKorean strategy board game based on smart game design and verifiedAI applied, so anyone can have fun and excitement. It is optimizedfor all Android devices with very smart UI, fast, reliable, andonline battle. We think these features will make people of all ageshave more fun. [Special Features] - Provides optimal user interfacefor all smart devices. - There's several difficulty options -Anyone can enjoy and very convenient UI settings - Real-time gamesfeature fast-paced interaction between players. - Four kinds ofchessboard and pieces. Providing High Quality. - No additionalcharge what so ever, it is absolutely free game. 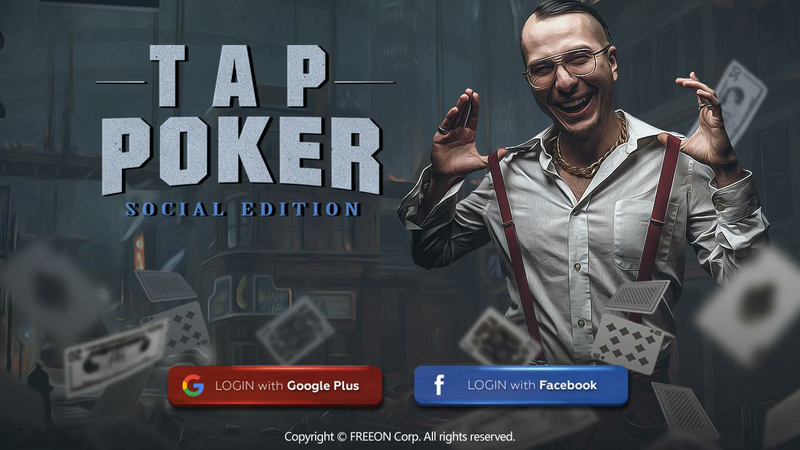 © FREEON Corp.
You can enjoy single game and online game. Whenever you're bored,enjoy single-concave games and online concerts at the same time.Everyone's concert online can enjoy various community fun by usingall the functions without purchasing a separate item and specificpoint, and playing chatting with various concert guests throughonline. We hope that you will make good long term world bycompeting with your diverse customers all over the country andcompeting with your skills through online competitions. All of theconcave on-line series can be a little different from the actualconcert performance, and is a series of expressions determined bypoints acquired according to whether the game is won or lost. Youcan earn a high water number if you master your skills through manygreat countries for a long time. Everybody's concert online is funto talk to the people watching while strengthening the power of thevarious players through the watching mode. * All of the concertsonline is a game created to have a good time through the game.Please do not use excessive gameplay or excessive game play due toexcessive competition. [Characteristic] - Provides all smart deviceoptimization interfaces - Single game (alone) Free game play withautomatic difficulty setting - Intuitive UI that anyone can enjoyeasily and conveniently - Ability to play with friends, lovers andfamily through online competition mode - It is possible to observethe game of the champion through watching mode - It is possible toshare various opinions in real time with the watching mode cheatingfunction - Supports four concave, concave stones - Supportscomfortable game environment with quick access and support -Available freely without additional charge * Some older terminalsmay have slightly slower drive speeds for AI operation and networkuse. 무료 크레파스 색칠놀이!느리고 똑같은 색칠놀이가 아닌 크레파스 느낌 100% 재현을 통해 부드러운 표현과 혼합 배색을통한 색감 놀이로 아이들의 창의력, EQ 향상에 도움을 드려요.27종의 크레파스 지원을 통한 다양하고 리얼한 색감 놀이와함께 빠르고 HD화면 제공을 통한 고퀄리티 제품 구성을 만나 보세요.공룡, 탈것, 동물, 과일, 숫자, 알파벳 한글,상상색칠의 총 8가지 분류에 200여 장의 채색된 고급스럽고 귀여운 채색 이미지를 통해 아이들의 창의력과 EQ 발달에도움을 주도록 제작하였어요. 모든 채색 이미지에 한글 이름 카드 지원으로 색칠 놀이와 함께 한글 및 숫자, 영어 알파벳공부를 함께 할 수 있답니다.이제 우리 아이들에게 풍부한 그림과 다양한 학습 효과를 지원하는 [크레파스 색칠놀이]를선물해 보세요.서점등에서 만원이상의 동일한 제품을 구매하신후에 버리는것보다 평생 이용하실 수 있는 영구적인 [크레파스색칠놀이]를 선택해 보세요!! !----개발자 연락처 :[email protected] coloring crayons!Deuryeoyo to help improve children'screativity, EQ and soft expression through color mixing scheme thatplay with the same crayon coloring game feel slow and not 100%reproducible.Meet the structure and quality products through fastwith HD screen provides a variety of realistic colors throughcrayons support 27 species and play.Hayeoteoyo produced to assistin the creation and development of children through the EQ section200 luxurious colored coloring cute images in 8 colors classifydinosaurs, vehicles, animals, fruits, numbers, alphabet Hangul,imagine coloring. 's In all color images in Hangul name cardspainted with Hangul and play with the numbers, can be studied withthe English alphabet.Now it presented a [crayon coloring game] tosupport a rich variety of painting and learning to ourchildren.Please select [crayon coloring game - a permanent in lifethan they can use after you have purchased the same product morethan ten thousand won bookstore, etc.! 모두의 체스!!! 서양 정통 장기 체스를 데이터 걱정없이 무료로 모든 기능을 즐겨 보세요! !검증받은 인공지능을 통해다양한 난이도의 경기를 즐기실 수 있으며, 심플하고 깔끔한 디자인 을 통해 쾌적한 게임 환경을 제공해 드립니다.오프라인2인 모드를 지원하여 친구, 연인, 가족과 함께 여행지나 캠핑지에서 데이터 걱정없이 즐기실 수 있습니다. 다양한 모드와다양한 체스판, 체스 기물 선택이 모두 무료입니다. 누구나 쉽고 편하게 즐기실 수 있습니다.모든 모드는 무료로 제공되기때문에 아무 부담없이 즐기실 수 있습니다. * 간혹 게임이 느려질 경우 게임 종료 후(진행중인 게임은 이어하기가 됩니다. )메모리 정리를 한번 해주시면 보다 쾌적하게 즐기실 수 있습니다.◆ 모두의 체스 특징 ◆ - 모든 안드로이드 기기 지원 -다양한 난이도의 인공지능(AI) 플레이 지원- 다양한 체스판 및 체스 기물 지원- 오프라인 2인 모드 지원- 랭킹 지원-싱글 게임 저장 및 기보보기(경기 다시 보기) 기능 지원* 일부 단말의 경우 AI 동작에 따른 구동이 느릴 수있습니다. [필수권한][GET_ACCOUNTS] - 구글 랭킹 등록을 위한 Google 계정 확인© FREEONCorp.----개발자 연락처 :[email protected] foreveryone!Enjoy all the features of Western orthodox chess with nodata to worry about!It offers a pleasant gaming experience througha proven artificial intelligence received through the can enjoy thegame in a variety of difficulty, simple, clean design.To supportoffline mode, with two friends, lovers and family can enjoy withoutworry of data from paper travel through camping.A variety of modesand various chess board, chess piece selection is free. Anyone canenjoy easy and convenient.All modes can be enjoyed without anyburden, is provided free of charge. * If the game is sometimes slowafter the end of the game (game progress will be followed to.) Youcan enjoy a more pleasant haejusimyeon memory clean again.◆ ◆ Chessfeatures of both- Support for all Android devices- play theartificial intelligence (AI) of various difficulty Support- variouschess board and chess piece support- Offline mode support for two-Ranking supports- Support Single-game store and Kibo (the game backview) features* In some cases, the terminal may be driven accordingto the AI ​​behavior can be slow.Required Permissions[GET_ACCOUNTS]- Check your Google account for Google Ranking Register© FREEONCorp.